We are a boutique, customer centric and extremely organized construction company serving the Chapel Hill, Durham and Pittsboro areas of North Carolina. We have a unique approach to building which we think you'll find a refreshing alternative to the other guys. We have been in business since 2005 and take on all sorts of fun projects from new homes to large and smaller scale renovation projects. We have a long list of current and former clients who would be more than happy to vouch for us. Our Promise to you: Transparent- This is at the core of who we are and how we do it. From working together to create realistic budgets, to sharing all cost details and estimates with you along the way, we are always there to give you unbiased guidance that serves your best interest. Organized- Our online project management system keeps everyone, including our clients, organized and informed. Do you want to see how your project is tracking versus the budget on a daily basis? We do that. And much, much more. Responsive- Whether it is through on site meetings, or follow ups via our online project management system we strive to stay connected to our clients on a daily basis. Trustworthy- We like to tell people that “we treat your money like it’s our own”. We work hard to earn your business and by fostering an environment of openness and cooperation, we build a level of trust with our clients that few other builders can match. Jeff Little Construction, Inc. is a full service construction firm with over 25 years of experience. We pride ourselves on providing classic quality craftsmanship in today's modern world. It is imperative that our clients receive top-notch care and satisfaction whether it be for a kitchen/bath remodel or a custom home. Please feel free to contact us today with your project inquiries. Wilson Homes is locally owned and operated. Natives to Alamance County, Lee & Nik Wilson bring over 25 years of industry experience. This father and son partnership brings detail, style, creativity, and perfection to every home they build! 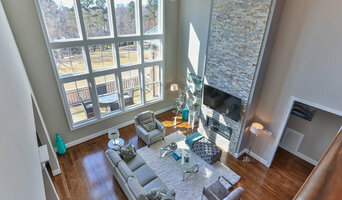 Focusing on custom homes all over the state of North Carolina, they pride themselves on innovative ideas, unique design, and quality craftsmanship. Their experience and attention to every detail has earned them GOLD awards in the Parade of Homes for “Best Kitchen”, “Best Bath” & “Best Overall”. They are members of the Alamance County Chamber of Commerce and the Alamance/Caswell Homebuilders Association. Wilson Homes takes a different approach to custom home building. They pride themselves on being a full service builder assisting in lot selection, floor plan design, budget analysis and interior/exterior design selections. Whether you have a floor plan already or you’re starting from scratch, they work with you closely to design your dream home and stay within your budget. If you are looking to build your custom dream home, call or email Wilson Homes for a free consultation. They look forward to earning your business! Cornerstone Home Construction has been proudly serving the Piedmont Triad for over 29 years. Our long history of personalized customer service has earned us an A+ rating from the Better Business Bureau. We offer our customers competitive prices for all the services they need to maintain and improve the beauty and value of their home. We specialize in kitchen & bathroom remodels, as well as new custom homes. We also offer custom additions, custom decks, patios, & screened porches, window and door installation, siding and roofing. Cornerstone Home Construction happily serves Greensboro-High Point-Winston-Salem, Lexington, Thomasville, as well as Davidson, Forsyth, Guilford, Rowan and Randolph Counties. Scott Daves Construction Company has been building homes of the highest quality in the Triangle area since 1998. Known for his hands-on approach, owner, Scott Daves, walks each customer through the entire building process so that every homeowner is involved, informed, and completely satisfied and excited about their beautiful new home. From designing a house plan, to making selections, to warranty visits, and just being available to answer questions along the way, Scott is personally there for each customer. He only builds a manageable number of homes each year so he can provide each homeowner the level of time and attention they deserve. In a Scott Daves Construction house, you will notice those highly-detailed touches that stand out from the rest, such as intricate mouldings, sturdy staircases, exceptional workmanship, and a classic, yet current design. Each house is an example of Scott’s dedication to building a solid, sound home of traditional craftsmanship, reminiscent of past generations. A homebuilder who makes the process of building a house enjoyable, and who is committed to the highest standards of construction and customer service is what you will get with Scott Daves Construction Company. Will Johnson Building is a design build firm that specializes in design, building custom homes, and renovations. Having an end-product that reflects the homeowner's needs and style is what we strive to create. Our niche is designing and building custom homes on well located lots in Carrboro, NC. We offer a total design and build package, from drawing the house plans to general contracting to home building. Layton Wheeler, Inc, has the experience & know how necessary to orchestrate your total design & build project. Having built hundreds of homes as the General Contractor and Master Builder with a small, longtime, loyal crew and local, trusted sub contractors. Layton Wheeler Inc. works productively and seamlessly with total commitment to your job. The home building experience can be quite enjoyable when you have total confidence in your builder. Layton Wheeler will earn your trust and respect as he has done with every other home building client he has served. You will actually relax and enjoy watching the progress. Mitchco builds in Kernersville, Winston-Salem, Greensboro, High-Point, Stokesdale, and throughout the Triad area. In addition to custom homes, Mitchco can turn your existing office space into in custom-fitted area, designed for your unique business needs. Mitchco boasts specific knowledge in designing and building for medical professionals, insurance agencies, and day care facilities. When your project calls for personal attention to detail, and someone you can easily reach and communicate with, Mitchco is perfectly sized to personally accommodate each and every customer. We concentrate on doing a small number of projects well rather than losing our connection to our clients by trying to build in volume. Southern Evergreen is a full-service design, construction and real estate firm. Since 1999 we have designed, renovated and built homes of all sizes. In 2001, our company was selected to be the Triad’s exclusive member of the Southern Living Custom Builder program, and we have held that honor each year since. Of the 100’s of general contractors in the Triad, we are the only firm to be designated by Southern Living to build and renovate to their immensely high standards. Additionally, since 2009, Tom Garcia has been a member of the WFMY News 2 Good Morning Show team as their Home Pro. Each Tuesday, he presents information on home maintenance, energy saving tips and many other ways to protect the value of the home. Lisha Construction Company owner, Jeff Zenger, is a luxury custom home builder and commercial developer with over 20 years of experience and is based in Winston-Salem, North Carolina. Jeff's reputation for excellence makes him the right choice as a partner that will work with you every step of the way. From site selection and planning through the final construction phase, Jeff takes a personal interest in every aspect of every detail of your project. Lisha Construction Company will construct your vision down to the smallest design detail. With a diversity of experience: French Country, Southern Colonial, Craftsman Farmhouse, Turn-of-the-century Victorian, Eastern Shore Urban Row Home, Classic Federal, Wooded Luxury Cabin Retreats, Concrete Storm Shelters–if you can name it, Jeff has built it. 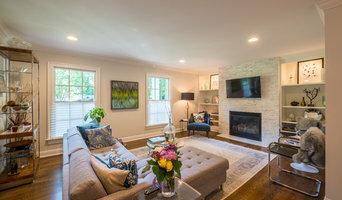 Because of Jeff's unique combination of commercial experience, he is resourceful and able to approach residential home building challenges with creative solid structural solutions. Lisha Construction Company, lead by Jeff Zenger, is committed to exceeding customer expectations. For Wentworth residential home builders who also act as developers, the job starts well before the first nail is driven. They perform local market research to determine whether the prospective homesites make sense in the Wentworth, NC market, as well as survey the land on which the house will be built to make sure it is suitable for construction. Custom builders also obtain the necessary permits. 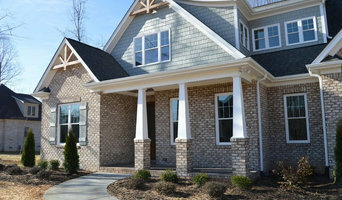 A good custom home builder in Wentworth, NC has skills that go far beyond construction — he or she must supervise subcontractors and artisans; keep tabs on local zoning regulations, building codes and other legalities; inspect work for problems along the way; and perform dozens of other roles that are essential in building a quality house. Here are some related professionals and vendors to complement the work of home builders: Interior Designers & Decorators, Landscape Architects & Landscape Designers, Architects & Building Designers, Kitchen & Bath Designers, Specialty Contractors. House builders are responsible for ensuring that the home-building project sticks as closely as possible to the specified timetable, particularly in the event of change orders. Custom and luxury home builders in Wentworth, NC also need interpersonal skills to deal with clients of all types, soothe frazzled nerves, negotiate conflicts and resolve problems. Find custom home builders in Wentworth, NC on Houzz. 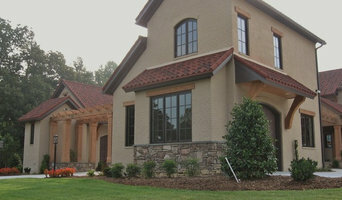 Narrow your search in the Professionals section of the website to Wentworth, NC home builders. You can also look through Wentworth, NC photos to find a house you like, then contact the builder who worked on it.